Elevator Guide Rail Clamps are rated for 25,000 lbs per PAIR (a pair consists of 2 Top Clamps or 2 Bottom Clamps). 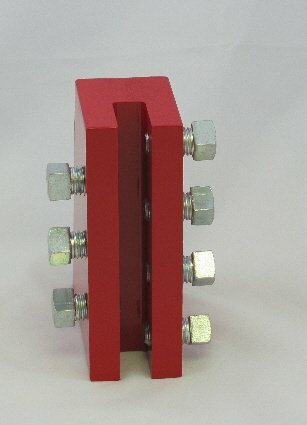 A Full Set of Guide Rail Clamps consists of 2 Top Clamps AND 2 Bottom Clamps. 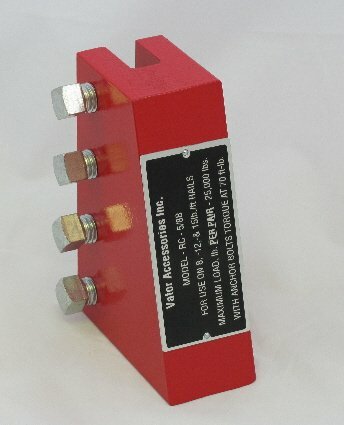 All Rail Clamps have been load tested for strength by an Independent Testing Facility. Copies of test results available upon request. 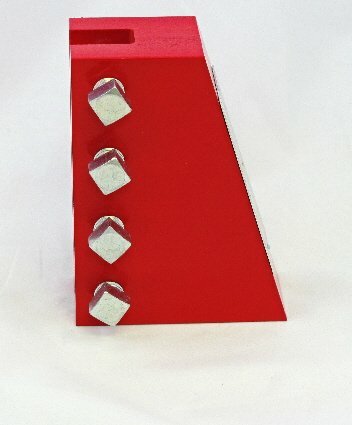 Both the Top and Bottom Clamps contain more bolts than other brands resulting in a more secure hold. Top Rail Clamps feature a 6 1/2 Ton Working Load Shackle and all have 8 Bolts per clamp. Torque all bolts to 70 ft-lbs. Recommend replacement of bolts after each use. Bolts provided are case hardened, do not replace with bolts of lower strength. MUST BE USED IN PAIRS!